We have an enormous assortment of eco-friendly dog supplies – premium raw & organic dog food, toys & challenging puzzles, all-natural treats & chews, collars, leashes & harnesses, cozy bedding, holistic dog grooming tools & supplements, and the best solution-oriented training gear you can find anywhere – with many of our offerings not available anywhere but the Zoom Room! 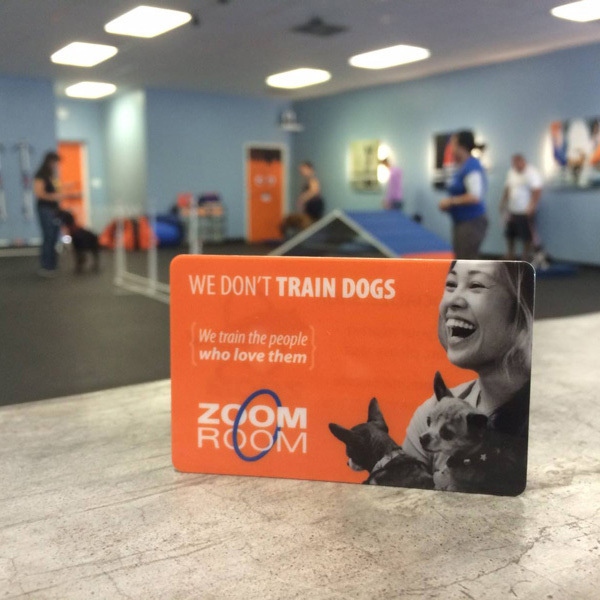 The Zoom Room carries a full line of hand-picked, eco-friendly, solution-oriented dog training gear and other great products for dogs. All the dog products we carry are Trainer Approved – so you won’t find funny sweaters or cute greeting cards – but you will find dog products with real, practical benefits. And when we look for the best stuff and can’t find it… we make it ourselves! The Zoom Room is proud to offer a wide range of its own brand of treats and dog training gear – exceptional and eco-friendly dog products you can’t find anywhere else. At the Zoom Room, you’ll find more than great products for dogs – you’ll encounter staff with incredible product knowledge, delighted to make personalized recommendations for you and your pet. Need some help getting that harness to fit? No problem! We’ll provide a fitting right on the spot. Our professional dog trainers can even show you some great out-of-the-box ways to use your new toys to maximize your dog’s enjoyment. You'll also discover our famous "Cadaver Bar": row after row of jars of delectable body parts (but no rawhide!) sure to make your dog's tail wag. You might feel you're in a mad scientist's lab, but your dog will feel like a kid in a gross candy store! Zoom Room Gift Certificates can be used at any of our locations nationwide, either in store or online. Please click on "Find a Location Near You" at the bottom of this page to select a store; you'll then find a handy link for purchasing a gift certificate for yourself or a friend. You’ll instantly receive a personalized gift certificate you can print out and give to a friend – an ideal last-minute gift! Or we can send the recipient an email with the Zoom Room Gift Certificate attached and ready to put to good use – you can even schedule the date of delivery to coincide with a special occasion. Zoom Room Gift Certificates can be used at any of our locations nationwide, either in store or online. Where can I get this great gear? Please note that none of our products are available for online purchase; we want you and your dog to swing by to check out the goodies and enjoy our personalized attention. We look forward to meeting you and yours!